Paul Burrowes brings fourteen years of experience in real estate, excellent customer service and a commitment to work hard, listen and follow through. He provides quality service to build relationships with clients and more importantly, maintain those relationships by communicating effectively. 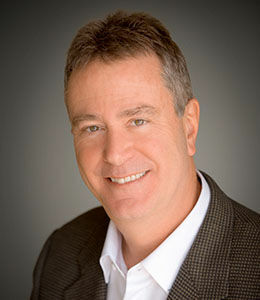 As a principal in a real estate investment and development group, co-founder of the Zayante Sandhills Conservation Bank, he has been responsible for overall leadership, growth, direction, cash management and strategic planning for a number of real estate projects, and knows how to maximize positive outcomes for all of the parties involved in the transaction. He projects have included minor-land subdivisions, urban infill projects, affordable housing, condo and townhouse projects, planned developments, tax credits, residential projects, and the only conservation bank in Santa Cruz County. He has worked with Federal, State, County, and City elected officials on land use planning, planned development, zoning, permitting, conservation law, community involvement, and environmental and ecological assessment. Paul consults with many real estate professionals, attorneys, architects, civil engineers, surveyors, financial institutions, investors and contractors to verify design studies, plans and cost estimates; this experience makes him effective in studying and evaluating real estate property, raw land and/or remodeling projects for residential or commercial use. His experience includes developing market studies with local, state, and federal planning organizations to ensure finding the best use for a property. He collaborates with local green building manufacturers and contractors to implemented sustainable building practices in development projects. 1. He will be on time. He will be brutally honest. 3. He will do what he says he is going to do for you. 1. Consult with you…He will make sure you make a good decision at every step in the process. 2. Negotiate for you…This means he will treat your money likes it’s his money. 3. Handle all the Details for you…This means he will ensure the hundreds of steps in the real estate process are handled properly for you. Bottom Line, he is going to get the job done properly for you and not let you down! Paul co-founded a company in 1982 and sold it to a national firm in 2000, since then he has been working in real estate. He has lived in the Scotts Valley area for 28 years and enjoys his family, hiking, biking, golf, kayaking and guitar.